If you are a professional or an online business owner, you would find yourself working in front of a screen all day long. Managing everything on a single screen can become quite hectic and frustrating, leading to a decrease in your productivity. However, you do not have to go through this burden. With a portable monitor on your desk, you can organize your work windows and tabs efficiently, with a simple plug and play action. In this article, I am going to discuss the best portable monitors for 2017 and why you should prefer them over normal monitors. 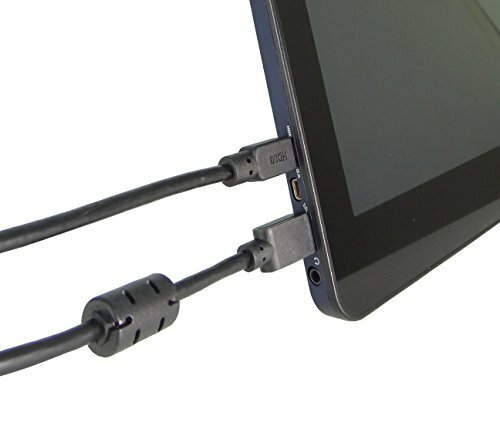 Expandability: Unlike normal monitors that have VGA or HDMI connections, portable monitors come with USB connectivity. This means that you are not limited by ports. By having additional USB buses, you can connect as many monitors as you can! There is no extra mounting or syncing hardware involved in creating the connection. Portability: Well, this one should come as a surprise to you as we are discussing PORTABLE monitors. However, why I put this factor here is that many people move from place to place during their work. While they can carry their laptop around, but they cannot move with their standard monitors. However, portable monitors can be as small as 7” and weigh less than a few pounds, which means you can just put them in your backpack or laptop carrying case, and do not let your traveling hinder your productivity. Power saving: Since a portable monitor is generally powered by a USB, its power consumption is quite low compared to standard monitors that have specific power cords to back up the internal hardware of the monitors. This means that you can connect several portable laptops to your pc or laptop, without worrying about added energy costs. So now you know why I recommend a portable monitor over a standard one. Let us look at some of the best models available in the market at the moment. 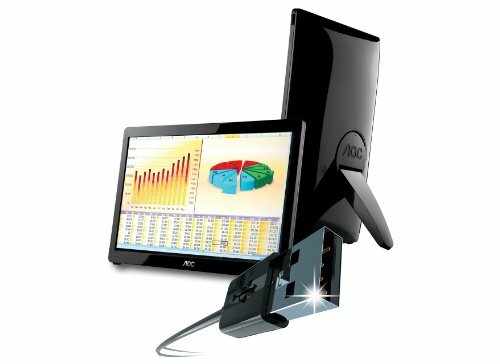 AOC is one of my favorite monitor manufacturers and the company was one of the earliest adopters of the portable monitor trend. 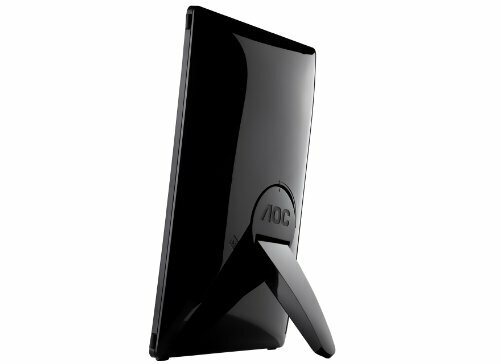 The AOC E1649FWU is a great portable monitor and has been incredibly popular among buyers in both online and offline markets. The monitor has a LED LCD panel and is powered by USB 3.0. In fact, it is one of the earliest USB powered portable monitors if we compare the release dates. The monitor has a 15.6” viewable display, which will complement your laptop or desktop monitor very well. 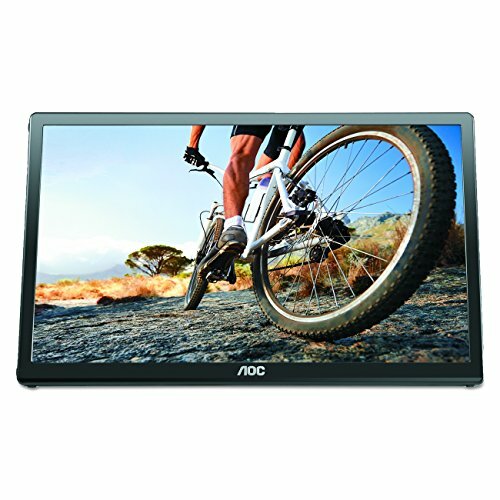 It comes with an aspect ratio of 16:9, a 500:1 contrast and 200 cd/sq. meter of brightness, which makes the viewing experience quite sweet. This is in addition to the reasonable resolution, which reaches up to 1366 x 768. The images on this monitor are clear, sharp and crisp, making it one of the top choices for office and casual usage. With connection ports for Display Link, you can sync the monitor with multiple others, if your work requires you to. 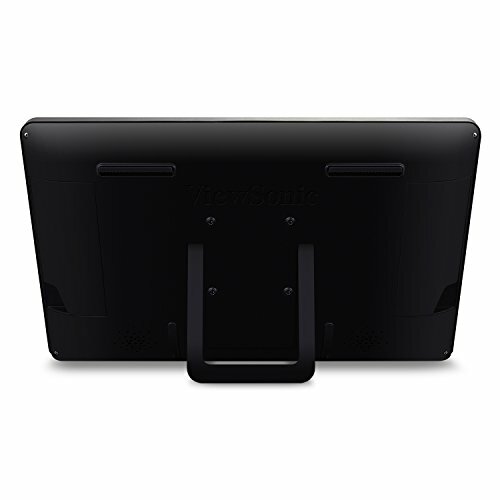 Portability wise, the monitor is sleek and easy to carry around. It is only 2.4 pounds in weight and will not be a great burden to keep in your bag or carrying case, although I personally feel that AOC should have worked on making it even lighter. 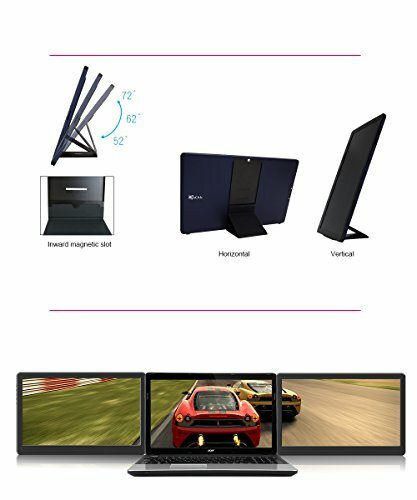 There is also a foldable and flexible stand that comes with this monitor that allows it to be mounted like a conventional screen. You can even mount it on a wall as it supports VESA. Update: AOC will release a new version of this monitor, the AOC i1601fwux, in September 2017. 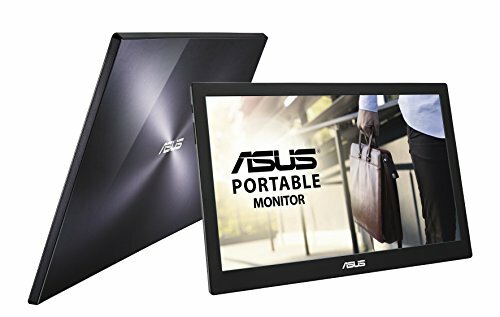 ASUS is a veteran in the monitor making industry. 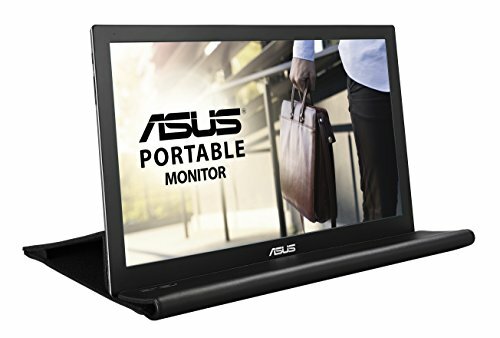 Like in all other categories, its portable monitors are also trending in the market and have become one of the most popular choices of buyers around the globe. The MB168B+ is one of the high end portable monitors in the market. 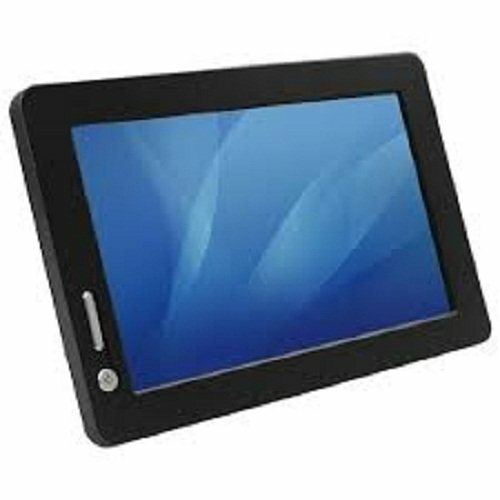 It has a 16” display with a 15.6” viewable screen, which supports an HD resolution of up to 1920x 1060, and is powered by USB 3.0. Having USB 3.0 is great, as it is the latest version of the USB technology and has the fastest transfer rate among USB buses, meaning that your monitor will not suffer from lag or ghost screen. 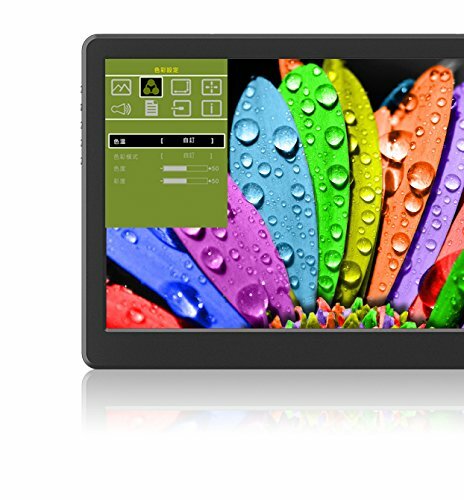 The monitor is quite bright (200 cd/square meters) and has a typical contrast ratio of 500:1. It comes with an auto light detector, which automatically optimizes your screens brightness and contrast to give you the best image results. There is also an auto rotate feature to allow you work in landscape and portrait modes without worrying about pressing buttons every time. With ASUS EZ Link technology, you can pair this monitor with different devices and enjoy the experience of having everything on a larger display. The monitor is compatible with not only the latest editions of Microsoft Windows and Apple Mac OS, but is also able to work with older versions and USB 2.0 devices. 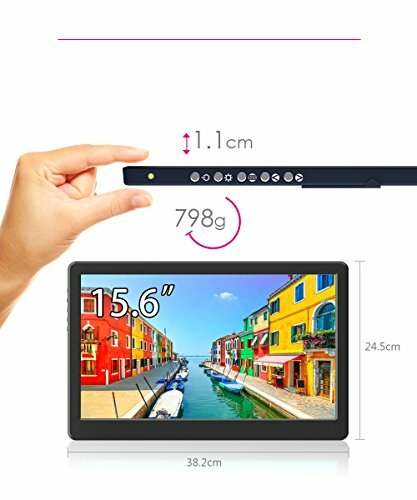 This portable monitor is one of the slimmest and lightest in the whole world. It is also quite stylish and comes in an all metal finish, with a fine pattern of concentric circles, setting it apart from other usually sold colored monitors. It is perfect for using on the go and carrying around in your bag or the ASUS Smart Case that comes with your purchase. 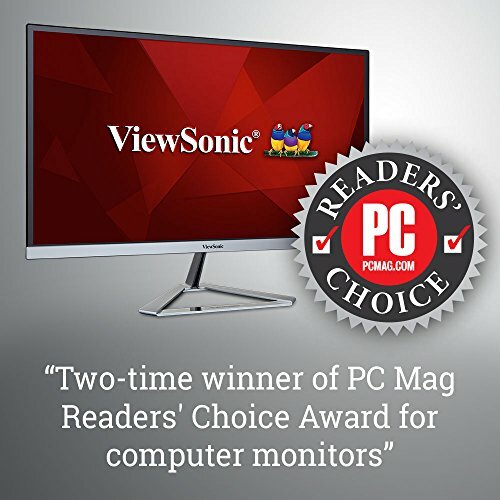 ViewSonic is one of the premier monitor manufacturer’s in the whole world. The American manufacturer has established its authority as one of the most trusted makers of high quality and innovative displays. 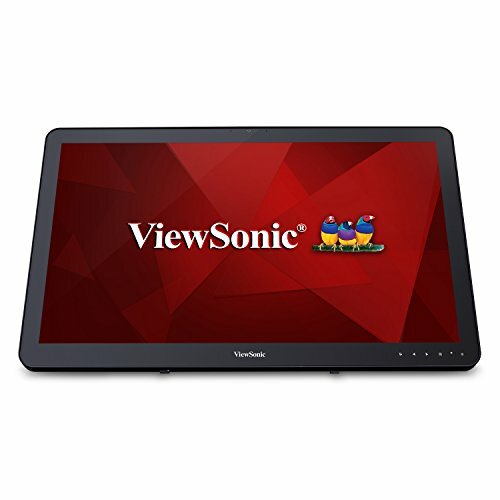 The TD2430 is ViewSonic’s most popular portable monitor. 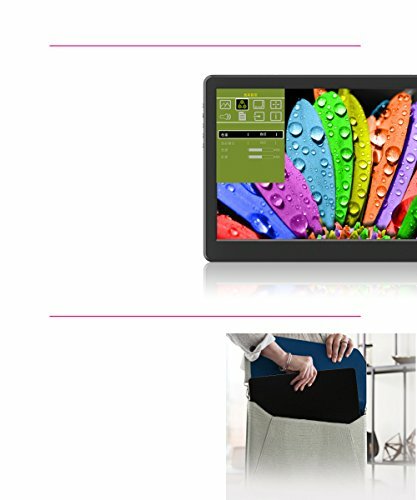 It is a part of the Multi Touch Portable Screen series by the company. This monitor has a 24” display, which makes it larger than the average portable monitor, and quite appealing for many people. The display is LED based and has a high resolution of 1920 x 1080. The touch screen display supports up to 10 points in a single go, which makes it very versatile and useful in most fields. 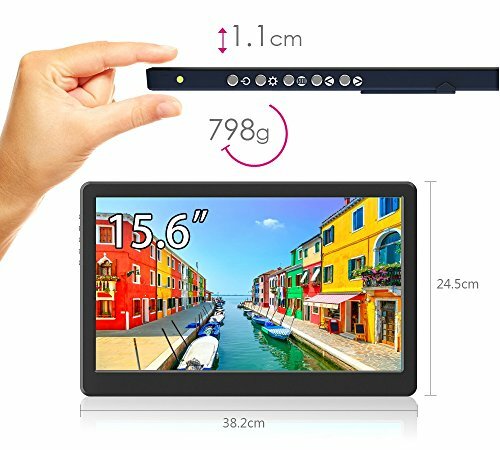 With a high brightness and a 50M:1 contrast ratio, this monitor carries one of the best image viewing experience in the whole portable monitor market. It also comes with 178/178 viewable angles, glare free screen, two built in speakers, etc. Connectivity wise, it supports DisplayPort, HDMI, and VGA inputs. 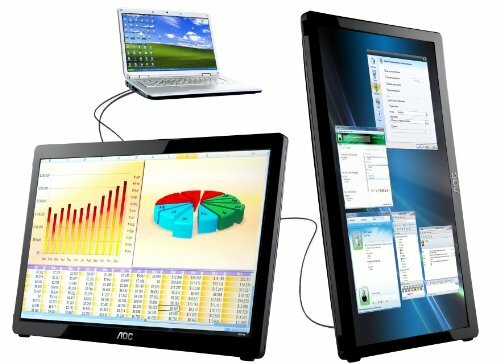 The monitor supports all the latest editions of Windows (including Windows Vista, 7, 8, 10) and Mac OS. 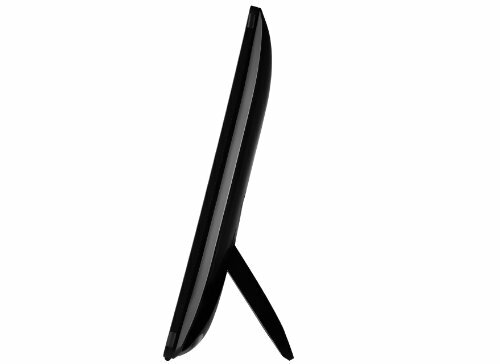 Apart from functionality, the monitor is also quite slim for its size and comes with an attractive frameless design. The body has a muted black finish and a 7H scratch resistant coating all over it. 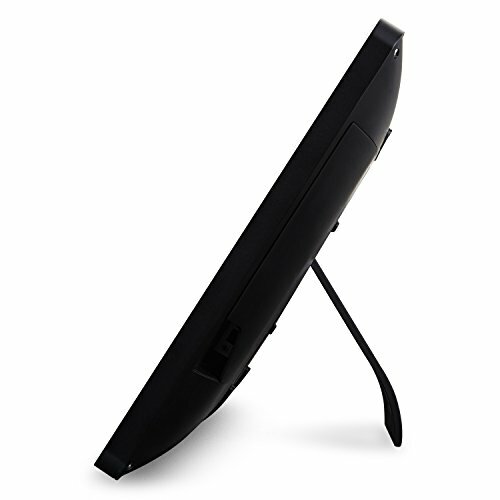 The monitor also comes with a stand that can be detached and folded when unused. It is also VESA mountable. 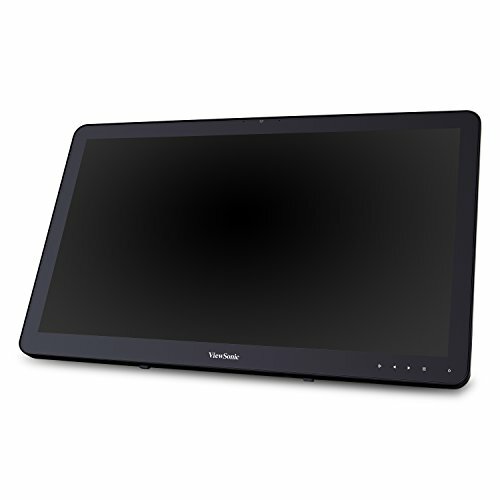 With a 3 year ViewSonic warranty for manufacturing defects and failure, the TD2430 looks like one of the best deals you can get in the high end portable monitor line. HP provides some of the best monitors and display line ups each year. The HP EliteDisplay is a part of the prime Elite series of products by the American manufacturer. 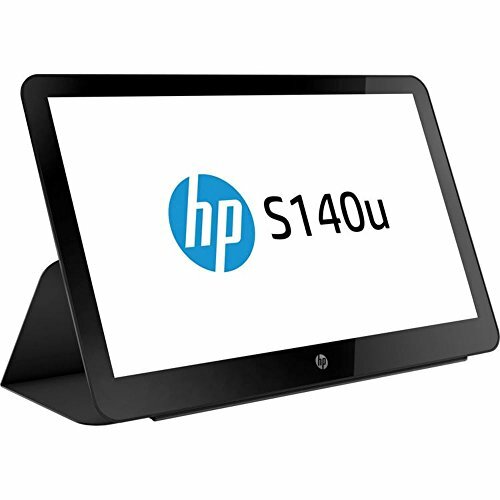 The s140u acts as a portable monitor as well as a monitor extender. It can connect with your desktop pc or your laptop. 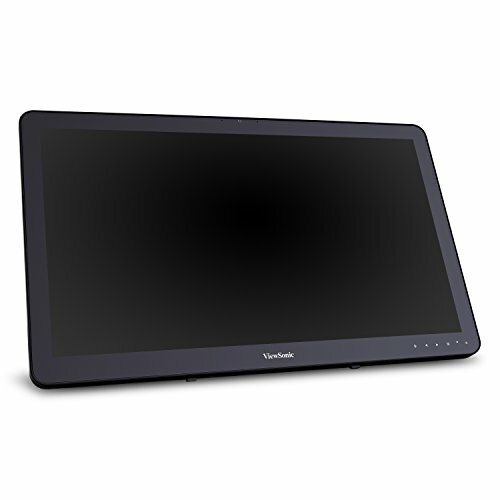 The monitor is powered by a USB 3.0 port, which is the standard in the modern products now, and features a viewable 14” of screen. It has a high resolution of 1600 x 900, which complements the 16:9 aspect ratio pretty well (the Viewsonic monitor mentioned above does it even better!). Despite its limitations, the monitor does its job pretty well and is great for office usage. It has a reasonable well lit display and high contrast ratio that will show clear and sharp images. The monitor is also extremely energy efficient. Functionality aside, the monitor is also extremely chic and minimalistic. Like all HP Elite series products, this one also has a metallic finish look. It comes with a carrying case and a stand, which can easily be flipped to protect the screen when inside the case or your bag. You can prop open the stand and start using your monitor, wherever you want! The monitor comes with the standard HP manufacturing warranty. Gechic is perhaps an unknown company for many of you. It is definitely not as popular or mainstream as HP, Asus or ViewSonic. However, this Taiwanese firm has made quite some name for itself slowly and steadily. 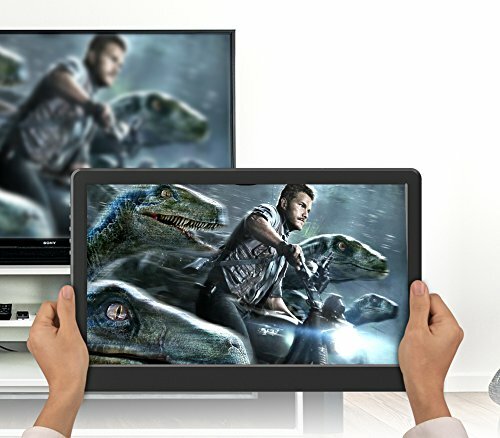 Its on –lap portable monitors are some of the best in the market and garnered a loyal customer base. The Gechic 1503H is one of the best high end portable monitors as of 2017. The monitor has a 15.6” size display that is backed by an IPS panel, unlike other models we have reviewed that come with LED panels. The display is clear, the colors on it vivid and the picture quality very high. You can view the monitor through any angle and not experience any blind spots or glares. It is this high quality of display that has allowed Gechic to slowly but surely take a piece of share from the monitor market. You can even use it to play games on PS4 or Xbox, without suffering from low picture quality. 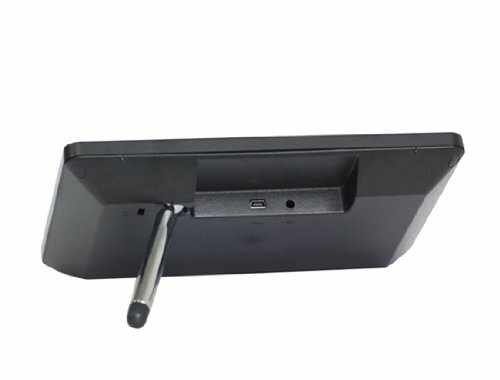 The portable monitor is powered by a USB C port and also has mini-HDMI access ports. 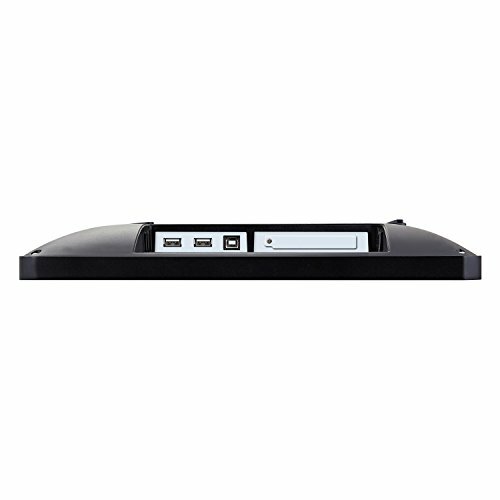 The inputs are found on the dock of the monitor and are easily accessible. 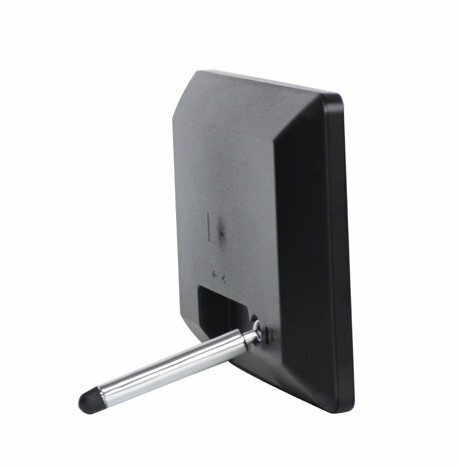 The dock also acts like a stand, which makes it a great addition and gives plus points to the company for its design. The stand is very ergonomic and can be adjusted to according to your height / position. 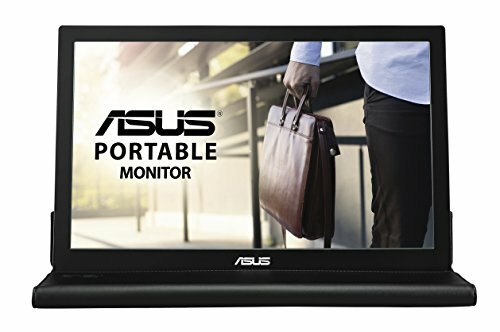 The monitor supports both portrait and landscape mode, which allows you to experience optimum screen style while doing work or watching videos. There are built in speakers on the monitor, so you do not have to carry your speakers around if you are on the move. The monitor is not the fanciest when it comes to aesthetics. However, it weighs only 1.75 pounds, which makes it quite light to carry around. The dock on the monitor also serves as a battery bank, which is brilliant and innovative. If you do not want to use the monitor on the go, you can also mount it on the wall. Gechic offers warranty for manufacturing defects and faults for this monitor, which is sweet considering many people would be doubtful about buying this product from an unknown brand, otherwise. 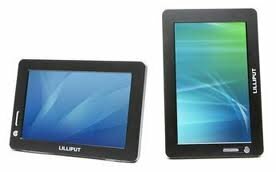 Lilliput is one of the most successful budget portable monitors. 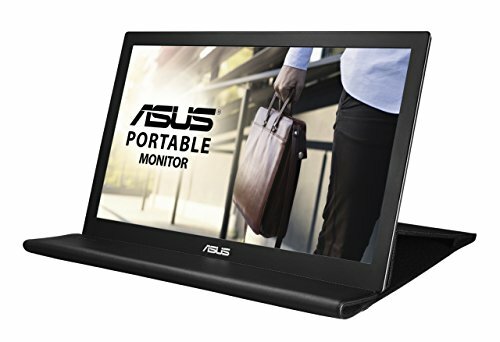 It is great for you if you are in no mood to spend greatly on your secondary monitor or perhaps you just want to explore if a portable monitor is good for you, before investing in a premium model. The Lilliput UM70 is a sweet little machine. It is only 7” in size, which makes it comparable to a tablet and people might even assume it is one! The monitor is powered by a USB port that can be connected to your laptop or a desktop. Since it is USB powered, it will not need any HDMI or VGA port. Despite being a budget model, this monitor has gained some ground in the market due to its performance to price ratio. 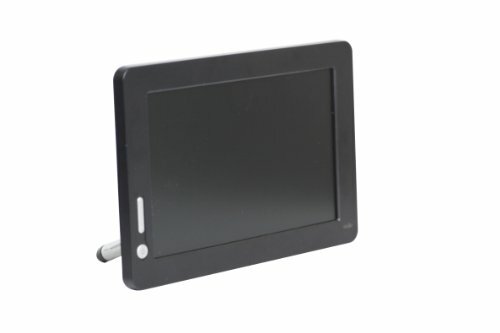 It is the smallest screen you are going to get in the market, but 800 x 480 ratio, with 250:1 contrast and LED backlight makes the monitor more than sufficient for normal office usage and internet surfing. The monitor is compatible with Windows and Mac OS, with a plug and play mechanism, requiring no extensive set up or installation. Given the monitor’s size and price, you would not be expecting any more than basic features in it, but it does make for a nice utility screen. 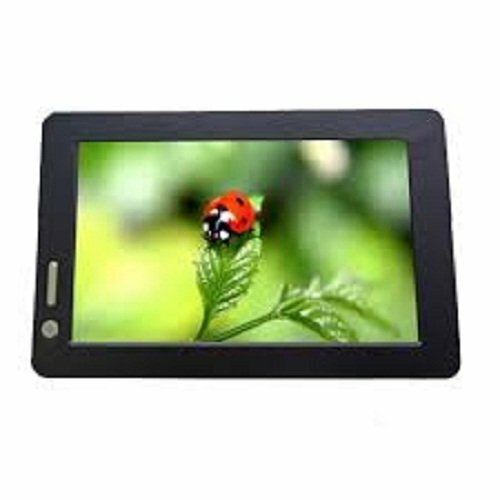 This Lilliput monitor is incredibly light in weight, due to its size. You can easily carry it round in your hand or in your bag, just like a small notepad. 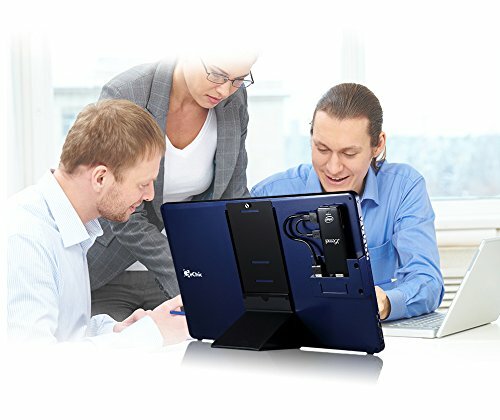 While the portable monitor range in the market is still quite limited and growing, there are many companies coming out with new and innovative products. 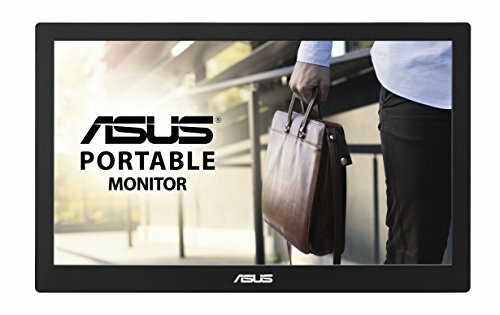 I have listed some of the trending and best portable monitors this year. These include premium, moderate and budget products that will surely fulfill your requirements optimally. What I suggest you before making the purchase is to study about the monitor and its features properly, especially given that the manufacturers have different versions of particular monitors out that may have very different specifications compared to each other. If you feel that you are better off having a standard monitor as your additional display, you should check out some of the best curved monitors and bezel less monitors in the market at the moment. Thanks for sharing the awesome reviews about portable monitors. 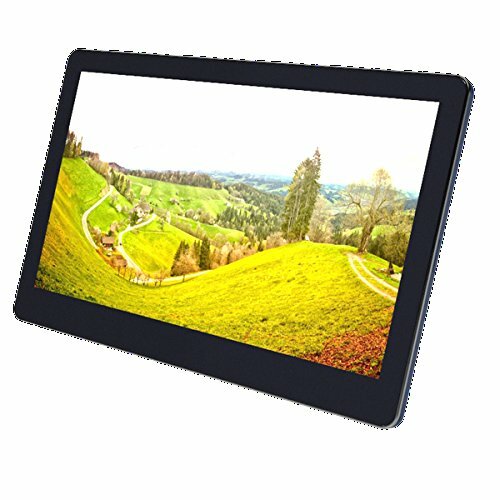 Can you please review Gechic 1303H portable monitor. I’ll appreciate that.